"One autumn, change came to Main Street …"
Digby’s street is soon going to look different – old houses are going to be demolished and new apartments will be built. Digby loves Main Street but he isn’t sure he wants it to change. With plans of his own and Claude, his new friend, Digby explores what it really means to belong. 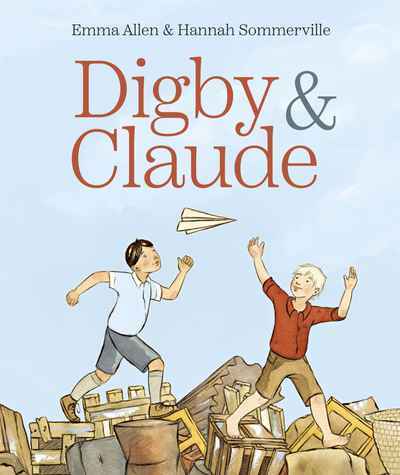 Together, Claude and Digby create their own world – a hideout where they can think and play. Day by day, as their cubby house grows, so too does their friendship. As the boys build and make their hideaway, they realise that the best places of all are places where you belong. From award-winning author Emma Allen and talented illustrator Hannah Sommerville comes a thought-provoking story about building and creating a sense of home in an environment of change.